The well known Falmouth quay punt cruising yacht named Teal has been sold a couple of times in recent years, and after a brief period in Kent is now in the hands of Adrian Nowotynski and his pal Ken. 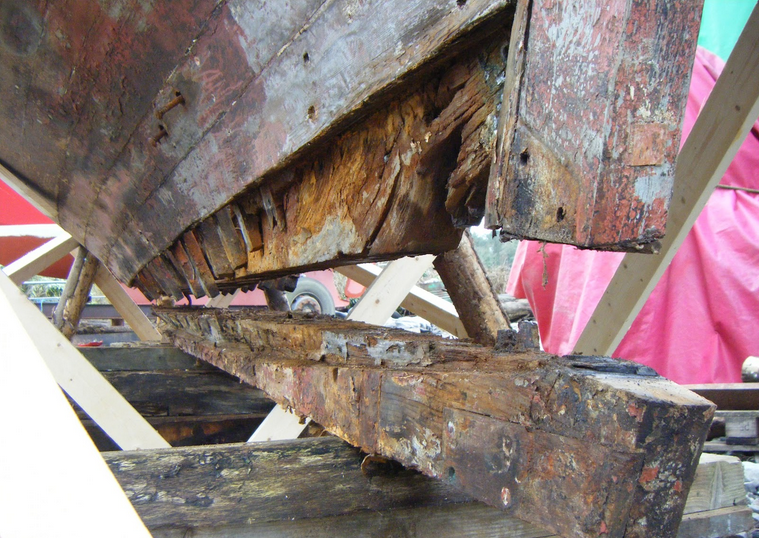 She’s currently at a yard at Oldcourt in West Cork, Ireland – in fact she’s at Hegarty’s, where the AK Ilen is currently being restored. Teal was built in 1914 by the Cornwall shipwright W E Thomas for the writer and artist Percy Woodcock, and came to national prominence through a series of magazine articles. 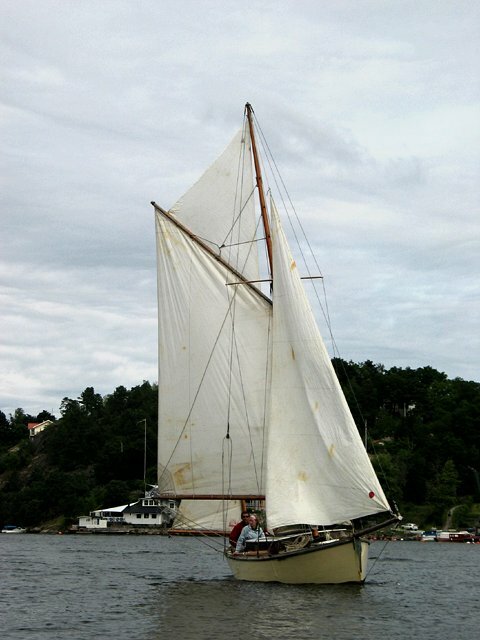 The sailing yacht appeared on the cover of Classic Boat magazine following a trip to the Baltic, and also featured here at intheboatshed.net back in 2007. 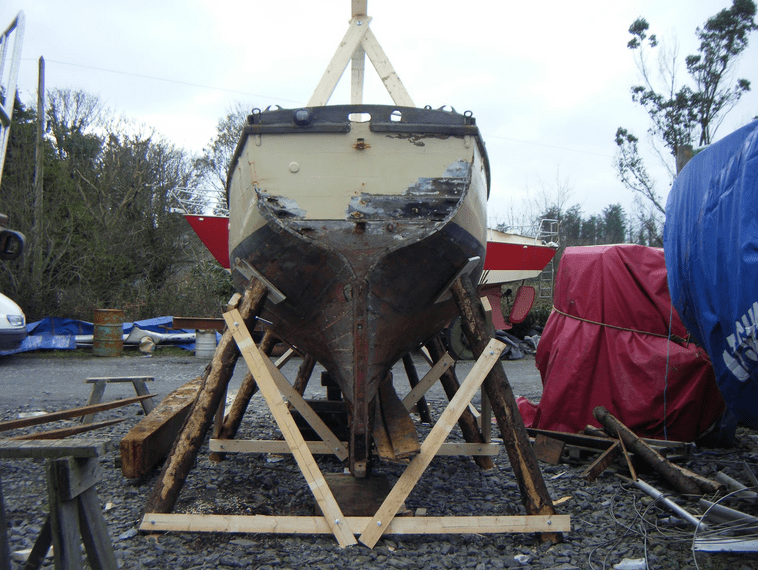 Adrian’s a carpenter by trade, which is going to be very useful, as there’s a lot to do – as the weblog Teal’s life in Ireland: the restoration of a 1914 gaff yawl named Teal makes very clear. The photos above tell some of the story of how much repair work is going to be needed; the rather dreamier shots below come from a few years ago. Thanks for letting me use your photos Adrian! I’m very much looking forward to hearing that she’s once again in good shape, and looking good. Once again I have to get the local news from https://www.intheboatshed.net. I was only down in Hegarty’s last week an noticed Teal with her bottom on show. She’s not the only Falmouth Quay punt in west cork. There’s one down the side of friends shed that he’s trying to build up the enthusiasm to restore. I’ll keep you posted.